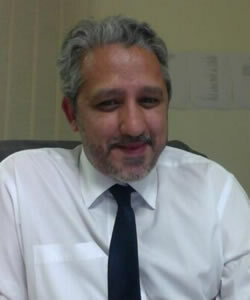 Sohail Younus Nakhooda is the executive director and head of research and publishing at Kalam Research and Media in Dubai. Nakhooda was the founding editor in chief of Islamica Magazine, based in Jordan, which emphasizes cross-cultural dialogue and provides a forum for Muslims from around the world to discuss issues of concern. Nakhooda was also an editor for Encounters, the American Journal of Islamic Social Sciences, and the Muslim World Book Review. He holds a B.Sc. from the London School of Economics, an M.A. from University of Nottingham, and a postgraduate certificate from St. Thomas Aquinas Pontifical University. He was one of the original signatories of "A Common Word Between Us and You," a letter addressed to Christian leaders in an appeal for peace and cooperation between the two religions.